Several frames to make the content look stunning; good idea which is also original! CV template to download "Caregiver"
The Caregiver Resume is a modern-CV template that is sure to grab the attention of your potential employer! 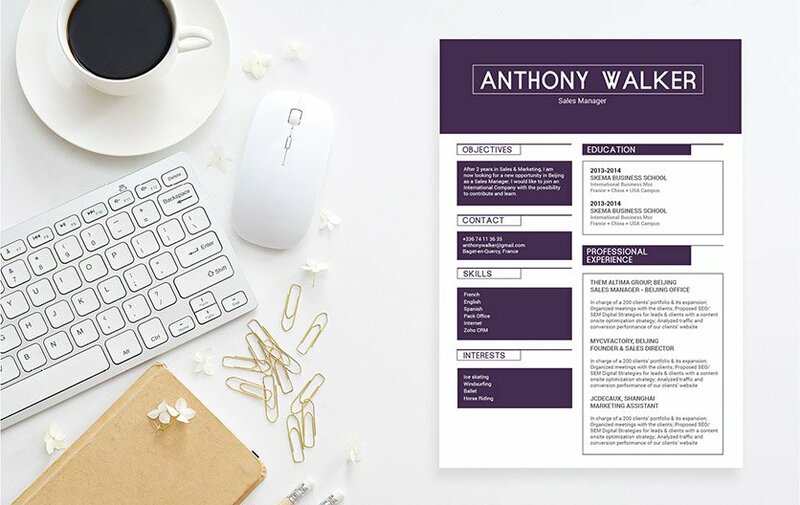 This resume template features select colors, shapes, and texts that create an effective and functional resume design perfect for any type of job out there! This is especially ideal for applicants that have solid professional experience and skill as all the content relevant to the job objective is clearly written, which is sure to increase your chances of getting hired! Create an effective and comprehensive resume design that is sure to land you more interviews, impress more employers, and of course, get you hired for that dream position! No matter how well written your resume is—it doesn't get fully read the first time through! Therefore, all of your information must be written in a well-structured format. To achieve this, use professional looking fonts (e.g. Helvetica or Seriff) Choose a font size between 11 and 12, and make good use of italic and/or bold font styles to guide the reader's eyes throughout your resume. Use graphics and bullet points to give emphasis on the key phrases in your CV (e.g. 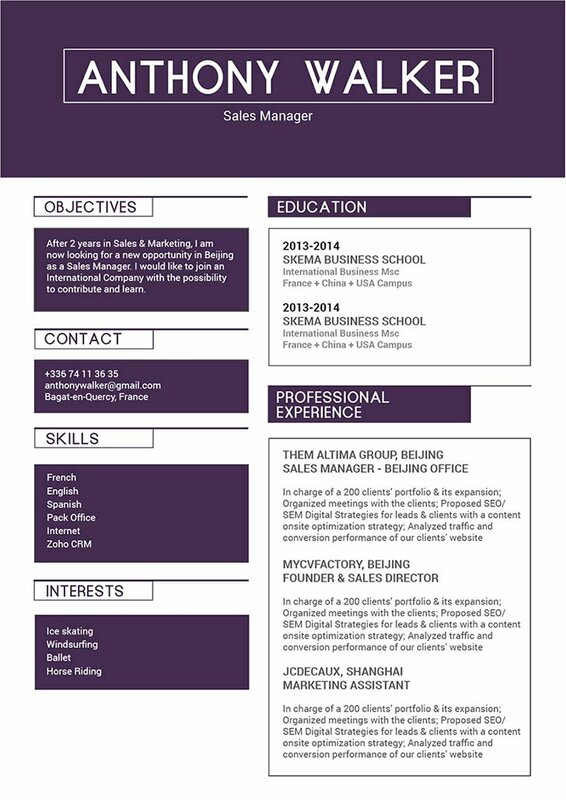 achievements and skills) And lastly, give your resume a logical format by using headings and subheadings.